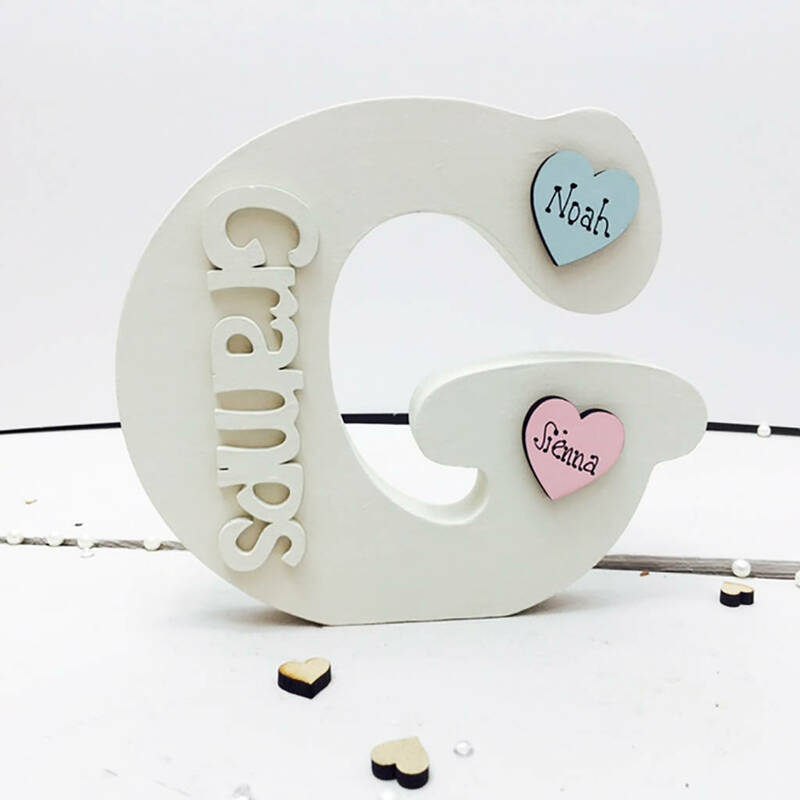 A gorgeous freestanding wooden capital letter G etched with the Gramps and personalised with mini name hearts. 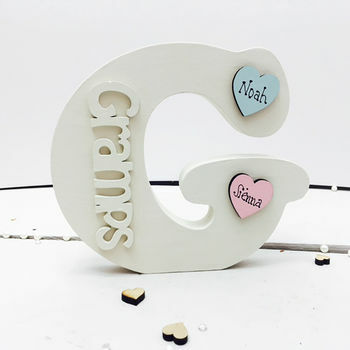 This unusual personalised gift comes hand painted in ivory white, either plain with just the etch or with mini name hearts attached which can contain the grandchildren's names. You can also choose to have a personalised message hand-written on the reverse. This would look fantastic on a shelf in his office or workroom, the lounge or kitchen. Alternatively, laid flat it could make a great paperweight. Ivory White for the letters and the mini hearts can come in a variety of colours as shown in the photos.